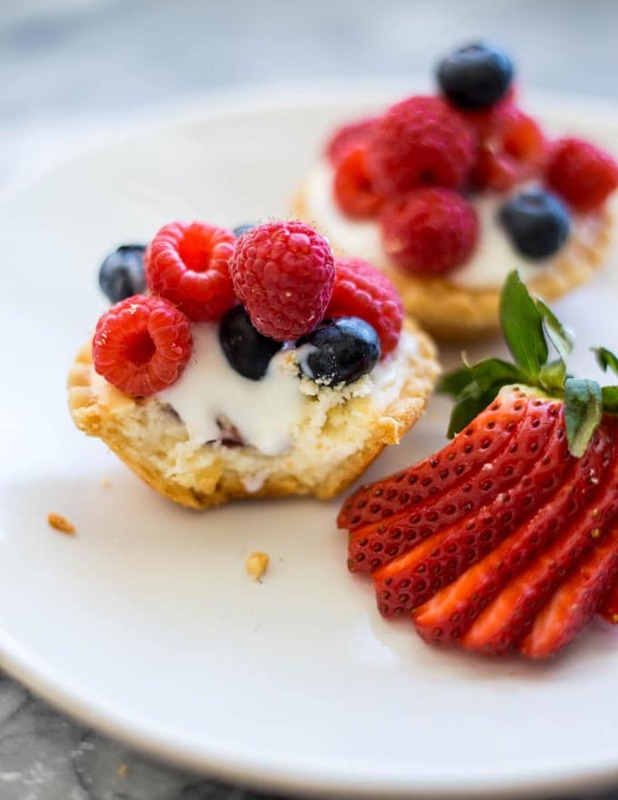 Mini Mixed Berry Cheesecake Pies – These adorable little desserts are made with the silkiest cheesecake batter, swirled with jam, and piled high with juicy berries. They are so easy to put together, and perfect to serve to guests. Well, here it is! I’m finally posting a dessert. 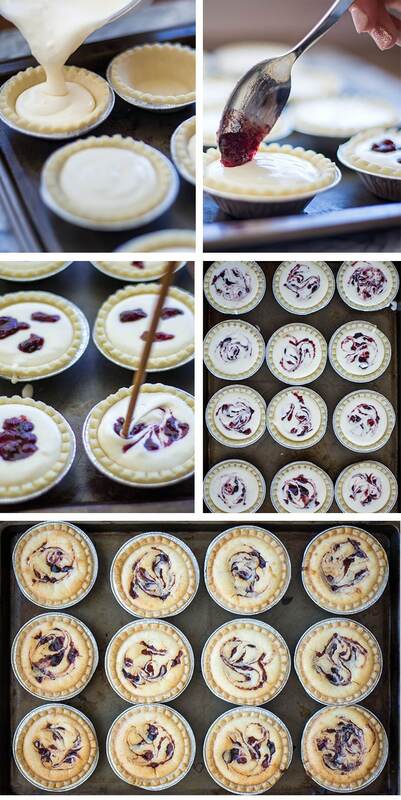 Just in time for Easter festivities, I have these fantastic mini cheesecake pies. This recipe is a super easy and quick way to serve up individual-sized desserts that look and taste amazing. I had a big jar of Saskatoon berry jam sitting in my fridge that I had no idea what to do with. I had also been craving a good slice of cheesecake, but I like to keep my sweets intake to a minimum. That is how this recipe was born! These are the perfect little bite of sweet indulgence, and they really are super easy. This cheesecake batter has a hint of sour cream which gives it a bit of tang, and some extra creaminess. 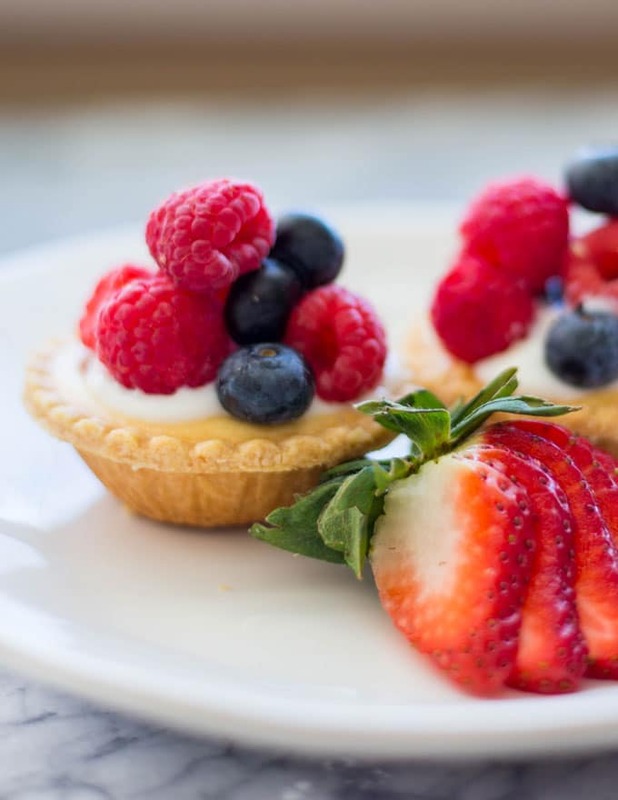 All you have to do to assemble these is pour your batter into tart shells, swirl in your choice of jam, and top with berries. I used a little dollop of yogurt to help the berries stick, but you can use whipped cream for extra decadence. 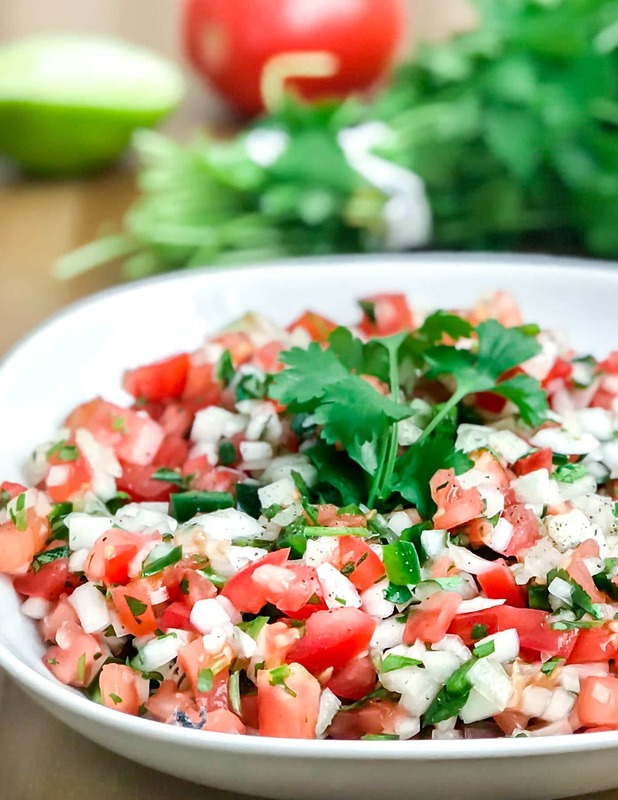 Let me know if you’ve tried this recipe! Leave a star rating, and tag me @messinthe.kitchen on Instagram. 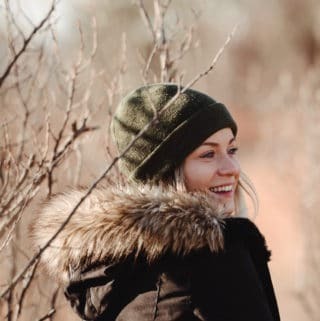 I’d love to see what you come up with! 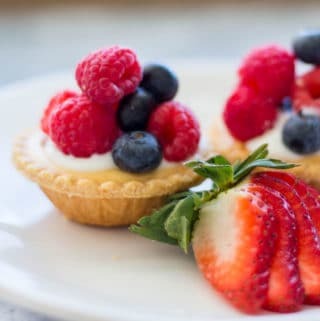 Mini Mixed Berry Cheesecake Pies - These adorable little desserts are made with the silkiest cheesecake batter, swirled with jam, and piled high with juicy berries. They are so easy to put together, and perfect to serve to guests. Preheat the oven to 350F. Allow the cream cheese to come to room temperature. Mix it well with the sugar until it becomes soft. Add the cornstarch, salt, and sour cream. Scrape down the sides of the bowl and mix until all the lumps are gone. Mix in the vanilla, lemon juice, and one egg at a time until the batter is smooth. Line a baking sheet with tart shells. Pour the batter into the tart shells, filling them 3/4 full to allow room for the jam. Spoon small dabs of the jam onto the top of each cheesecake. Using something thin, like a chopstick, kabob skewer, or toothpick, gently swirl the jam into the cheesecakes. Bake the cheesecakes for 25-30 minutes, or until they become golden brown. Cool for 15 minutes, and top with your yogurt or whipped cream, and the berries. I used yogurt to help the berries stick to the tarts. Whipped cream would also work well. Love how pretty the jam looks swirled in with the cream cheese. Can’t wait to make these!